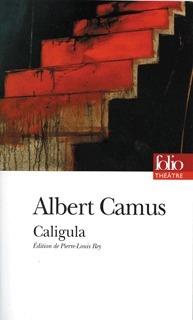 Before I read Albert Camus’ novel Caligula, I felt that man’s sojourn on this planet was dominated by a state of mind called “happiness.” But in the novel I read the words Camus gave Caligula that “Man dies and is unhappy.” That seemed a rather morose and novel thought to me. But through the years I began to see the wisdom behind Camus’ words. The inevitability of death and the disappointments of life soon convinced me that Caligula was right. Forget chasing happiness all your life: enjoy the short periods of ecstasy and happiness one experiences and accept that death is simply the price one pays for life. In my lifetime I have seen seismic shifts in what we were taught about this planet, Earth, we live on. Not minor changes in theories that one can pass off lightly. The first one occurred over fifty years ago when some young geologists claimed that volcanoes did not just erupt out of the stable landmass we happened to live on but that our landmass was really a floating island they called a tectonic plate and earthquakes and volcanoes happened because these plates slipped over or under each other, so watch out where you live. After the geologists had shaken the very land under our feet astrophysicists found that the universe which our planet Earth inhabited was not fixed in a “steady state” environment but was indeed expanding at a phenomenal rate into infinity. The “Red Shift” in the spectrum of far off galaxies was their first clue to this theory. So this street, this city, this state, this country, we live in and now the universe we are living in is in a constant state of flux. With the ground slipping under our feet and the universe expanding into the unknown what can we hang on to? Many people in the 21st century are frightened by this knowledge of the uncertain and unpredictable physical world and the inevitability of their own death. So they retreat into a total denial of science and the absolute end of their small existence. Extremists or fundamentalists in organized religions (doesn’t matter if it’s Judaism, Christianity, Islam, or some other faith) and their political hacks find that denial of science, as well as unquestioning faith in a deity that promises them eternal life in paradise, obviate the need to confront the harsh realities of our inevitable deaths and our contribution to the death of our planet. In their denial they have only hastened our collective disaster. Welcome to the modern world and the mess we have made of it.